Ex-Prime Minister Chretien during his third term in office. He was never elected to the office of prime minister by all Canadians. And Paul Martin, Chretien's former finance minister, is now prime minister. He was not elected to that position by all Canadians. It was arranged among his Liberal friends at a convention. Canadians were allowed to watch it on TV. Canada now and in the future -- if there is a future. There are certain steps that usually occur in all separations. The handwriting is usually on the wall for a long time before the separation occurs. The dissatisfaction is loud and clear or muted but always present. Sometimes the separation may be delayed with wads of money and allowances to the dissatisfied parties. (Quebec receives $5.5 billion annually in "equalization" payments + + + ) This sidesteps the inevitable and may actually hide the reasons for the required fundamental changes. If the separatists are not protesting loud enough and everything appears relatively peaceful, there is no need to bring about fundamental changes. These changes can then be endlessly delayed. The Canadian Government has played this game for 40 years. This is sad but it has happened in Canada. The Quebecois separatists have been protesting for about forty years. They want to separate from Canada and have their own sovereign country. They already have unilingual French unlike the English-speaking provinces who have to contend with forced English-French bilingualism, which should be a provincial issue. Quebec has its own Quebec Provincial Police. They have their own Quebec Pension Plan which unlike the Canada Pension Plan is not broke. They have their own tax system. They have their own Immigration Department -- they get to pick the immigrants they like -- not so in the other provinces. They have their own separatist representatives in the federal government called the Bloc Quebecois. Almost all the major prime ministers in Canada for the past century have lived in Quebec. The prime minister has called the federal treatment of Quebec, tough love. There are several other provinces that would like some of that tough love. The separatists in Quebec have already had two referendums on this issue and came within 1% of 50%+1 in the last referendum. 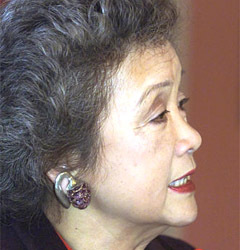 They refused to sign on to the so-called Canadian Charter of Rights (1982). And now with the new premier of the province, they are agitating full time again. Sooner or later they will have referendum III. It should be obvious to even a blind man that Quebec has received abject favoritism from the federal government because of this separatist issue. It should also be obvious that all this favoritism has not worked. And to make matters worse for Canada, all this favoritism for Quebec and the lack of favoritism for Alberta and British Columbia has now brought about strong separatist feelings in both of these western provinces. It is called western alienation. If these feelings of alienation increase, these provinces, which are self-supporting and not waiting for equalization payments from Ottawa, could have their own separatist movement in the near future. Therefore in order to allay these separatist causes, something else should be tried. Quebec separatism and western alienation should cause the federal government to rethink the whole confederation issue. Unfortunately the political elites in Ottawa are scared stiff of any changes. It might interfere with their cushy jobs and their vast travel plans. These travel plans are so secret that Canadians are not allowed to look at them, not even through the Access to Information Act. Here is the plan that might save Canada if we have the guts to pull it off. 1. Canadians need a Confederation for Tomorrow Conference and soon. The Liberals will delay this forever because of what happened to Mulroney at Meeche and Charlottetown when he and Joe Clark attempted to amend the constitution. 2. This constitutional conference should be held in a small town in a remote place in the West -- away from the central-Canada pressures and away from the have-not Atlantic provinces. 3. It should run on the belief that nothing is sacred and their main task is to keep Canada united. 4. Special-interest groups, lobby groups, unionists and federal bureaucrats should have no input. 5. It should come up with a constitution for Canada and Canadians -- not a Charter for the world. 6. The present Charter -- which Quebec refused to sign and which gives special rights to special people -- should be abandoned. 7. All Canadians -- not "everyone" in the world -- should be equal before the law and their governments. 8. All aboriginals should be recognized as Canadians. 9. Canadians should have property rights anywhere in Canada and should not be deprived of property without proper and legal compensation. 10. Canadians may sell their property to anyone they please whenever they please. 11. Supreme Court judges should be questioned by provincial appointees about their competence and prejudices. 12. Supreme Court decisions should be based on common law and case law -- not the abandoned Charter, which gave special-interest groups, special rights. 13. All immigration, as in Quebec, should be a provincial issue. 14. The Canadian Senate should be a triple E Senate -- equal, 2 from each province, effective, and elected. 15. All Canadians should vote for the prime minister of Canada -- not just his friends in his political party. 16. All Canadians should be required to vote. 17. The "first past the post" voting system should be abandoned in favor of a "proportional representation" system. With this system the majority of Canadians would be represented in parliament -- not the Liberals who only represent one in four Canadians. 18. Special treatment for special provinces should be abandoned. 19. The GST should be cancelled. 20. All taxes should be collected by provincial governments who will then send a cheque to Ottawa to support the much-reduced Ottawa government. 21. Canadians should have recall of useless politicians and the prime minister if enough signatures can be achieved. 22. Approximately 90% of federal bureaucracies should be abandoned or downloaded to provincial governments. 23. Canadians should have binding referendums when a specified number of signatures is achieved. 24. An issue on a referendum that fails should not be allowed on another referendum for 10 years. 25. The National debt should be reduced to zero. 26. The Canadian dollar should be on par with the US Dollar. 27. Politicians whose conduct is under investigation should be sent subpoenas -- not an invitation as Chretien received from the APEC inquiry. 28. Illegal immigrants should be kept in custody until they are deported. 29. New immigrants who are convicted of any criminal offence should be deported on completion of their sentence. Illegal immigrants who have been deported and return again, should receive a mandatory 10 years in prison. 30. All elections should be by date. 31. The prime minister should only be allowed one term in office. 32. This new Canadian Constitution should be put to all Canadians in the form of a referendum question. 33. Canadians need to know about the vast number of taxpayer funded travels of politicians and bureaucrats outside Canada -- information that is now denied. 34. A simple and easy amendment formula should be worked out -- 3 provinces -- 25% of Canadians -- which cannot be blocked by federal politicians opposed to changes. Unfortunately the Liberals in Ottawa have a huge majority and four years to go. They may believe they have the divine rights of kings. They may be right because Canadians have never complained. Time for a change. Governor General Clarkson, appointed by Chretien. Those who were appointed by Chretien -- the Supreme Court, the Senate, the RCMP commissioner, the Ethics commissioner and a host of others -- were not really independent of Chretien. They owed him. They were appointed by a Liberal and they are loyal to the party -- and maybe the country. The Canadian Government should not be in the business of buying votes by catering to every culture in the world here in Canada under the guise of Multiculturalism. It is a form of overt politically correct favoritism while the majority of Canadians look on in silence. Canadians are only allowed democracy for one afternoon every 5 years and have long ago been trained by the Liberal socialists to stay quiet or someone will shout, "Racism," and point a finger at them. This multiculturalism that the Liberals love has created a form of cultural compartmentalization in which each ethnic group is paid by the federal government to maintain their cultural identity and not bother to be involved in the greater Canadian culture. This system is no doubt good for buying ethnic votes but is it good for Canada? The Americans have the melting-pot system in which all immigrant cultures can't wait to be American and proud of it. But this pride is completely lacking in the Canadian multicultural system as everyone bows their heads to the politically correct in Ottawa. Canadians should shut down the Multiculturalism Department. And then download 90% of the Ottawa bureaucracy to the provinces. Canadian freedom is not god given. Freedom is won by outspoken people in inches and yards and miles and if it is not exercised it may be taken away by politicians or socialist bureaucrats in inches and yards and miles. This is usually done with a regulation, a law or a constitution -- register your gun, carry your identification card, let terrorists in the country and allow them to stay. Another example of this forfeited freedom would be Canadian civil servants who speak only English -- their native language -- who are now viewed by their federal government as not being as worthy of promotion as bilingual Canadians. This causes them to be classified as second class employees in their own country in their own language by their own government. Another example would be the implimentation of the metric system on Canadians without a referendum. Freedom may be lost if it is not exercised. An apathetic public may get the politicians, the laws, the huge taxes and the regulations they deserve. Canadian politicians who realized the extent of Canadian apathy, have taken advantage of this by abusing their ability to tax, spend, travel, write charters, laws, rules and regulations. Canadians pay the highest taxes in the industrialized world. They have to wait until August each year before they are tax free. (Americans are tax free in May) Canadians have the most traveled politicians in the world. 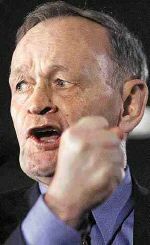 Prime minister Chretien and his imperial entourage spends about 3 months a year out of the country, often under the heading "TEAM CANADA." This publicity tag seems to justify eternal travel in exotic tropical countries during the long Canadian winters. The prime minister and his friends recently gave themselves an 8% unrecorded pay raise, but you forgot all about that already, as he knew you would. That was two years ago and now (2001) they have just given themselves a 20% pay raise, tax free. They know you will have forgotten all about it by the time they come back to Ottawa in late September. They've done it all before. They know the score. Money is no object when you have access to the treasury, an apathetic public and compliant voters. Canadian politicians are bound by party discipline rather than the wants and needs of their constituents. Canadian politicians have never been allowed to vote their conscience on capital punishment -- a federal offense in Canada -- although polls have shown that 80% of Canadians are in favor of capital punishment. Politicians who disobey the prime minister are ejected from the party -- a sure sign of creeping dictatorship. The prime minister -- unlike the American president -- is not elected by the people, but chosen by his sycophant friends from within his disciplined political party. No Canadian senator is elected -- they are appointed by the prime minister. They represent no one except themselves. They receive an extraordinary salary. They retire at age 75 with a huge pension. They have no job description. They are not even required to turn up at the job. They get unlimited travel at taxpayers expense. This is better than winning the lottery. The Canadian dollar was U.S. $1.10 in 1974. It has dropped to U.S. 63 cents since then due to our spendthrift politicians. Canada is almost $600 billion in debt. And the debt is growing. No one protests. No one cares. And still the Liberals got reelected. The Canadian Employment Equity Act ensures that those who are qualified for the job may not get it because government regulations ensure that others will have an advantage over white Canadian males. And worse. Canadians accept this. The prime minister has no sunset clause. He could be prime minister for life just like the senators he appoints. Those appointed senators have to quit at 75. The prime minister at the present rate, may go on for another 30 years. Canada has 16,000 illegal immigrants who refuse to leave. Many are terrorists or criminals. But no one is sure, or no one knows, or no one cares. Are Canadians this apathetic? Occasionally we read about someone being deported. Quebec has a government that is intent of separating from Canada but like a dysfunctional family, the parties about to be divorced, are too busy to discuss the issues. But Quebec stays because they receive $5.5 billion annually in "equalization payments" -- a form of federal welfare for poorer provinces. The Canadian Constitution has a notwithstanding clause. This allows provincial governments to override Supreme Court decisions. Quebec used it to enforce their French only sign law while the remainder of Canada had enforced English-French bilingualism. Quebec is unilingual. The rest of Canada is not. The Supreme Court recently made a decision that allowed any province that feels bad about the federal system, to have a referendum and if they get 50%+1 who disagree with the federal system, they can negotiate a divorce. They could just as easily have said, Quebec can separate and that's it. But no such luck. Why? Have you ever heard of a welfare recipient putting his welfare cheque in jeapordy? Quebec is a welfare province. They are going no where. The prime minister is allowed not only to stack the Senate with his obedicnt friends but he is allowed to stack the Supreme Court with his friends by appointing them unquestioned for life (until they die or turn 75). Are Canadians this apathetic or am I just dreaming?